Chios is renown as being the home of Mastic Gum, and Sarantis Mastiha (Mastic) preserve is the world's best. 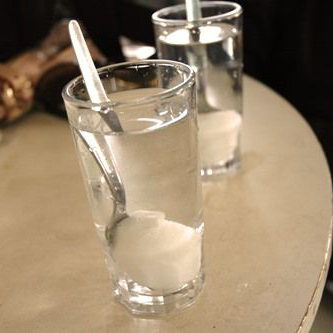 A traditional treat - and fancifully named "submarine" in Greek - is to take a spoonful of Mastiha, submerge it in a glass of water and lick it like a lollipop. Sugar, Glucose Syrup, E220, Mastic Oil.